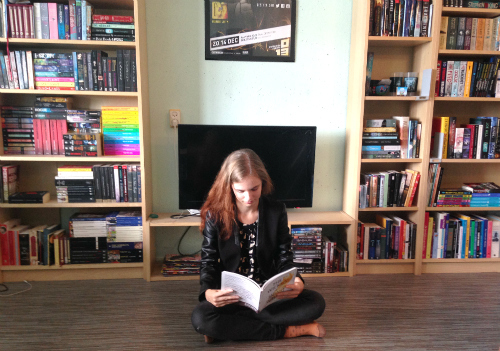 It’s been over a year ago since I read the first book in the series, Eve. After being quite disappointed by Eve because of the horrible man-hating nature of the books I wasn’t expecting much from Once. Eve has now arrived in a women-only community where they won’t even give her boyfriend medical care because OMG, he’s a man. For some reason they all hate men, and all the men (called Strays) are rapists or murderers or both. There don’t seem to be any normal guys in the Eve universe, they are either insane or hunky boyfriend material. There are tons of hurdles for Caleb and Eve to overcome, and Eve finally arrives in the famous City of Sand. I’m having a hard time writing this review because to be very honest nothing happens in Once. It suffers from severe second-book syndrome; it all seems to be a set-up for the third book in the series. It ends on an enormous cliffhanger, to make matters worse. I kept going back and forth on my Kindle, thinking I must be missing a chapter. Once is filled with dozens of secondary characters that we only meet for a few pages and then disappear again, without ever getting to know them or for them to have any other function than existing. The book is filled with Eve moping around in the City of Glass, feeling guilty for leaving her friends behind (gee, newsflash, maybe you should have told them about what you knew about the Schools), and fantasizing about lovey-dovey stuff with Caleb. Eve had some very sloppy writing in places and the story seemed to move too fast to really make sense. In Once the writing did seem better and more natural to me, and the pace was lowered till something a bit more tolerable. It felt as if Ms Carey had a word goal to hit, and she had to keep making stuff up to reach that goal though. The plot takes some small random detours, but there is no real forward movement. As the story progresses it becomes clearer that the background isn’t complete, and inconsistencies in the backstory are showing. For example, what is up with all the burned out cars? The sun didn’t explode, there was a plague. Why would a plague result in all cars in the world catching fire? If you leave a car outside for a few years, it might get a bit rusty, but there wouldn’t be anything wrong with it. Details show the logic inconsistency the Eve universe is built on. 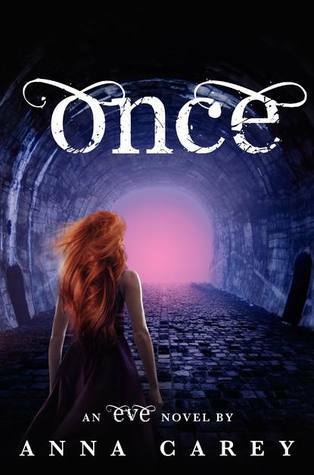 Once is a mediocre YA dystopian at best. I’ll read Rise to see if something finally changes for the New Americas, but I’m not holding my breath.